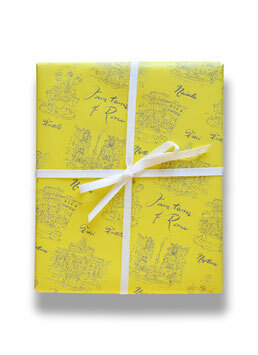 Our Fountains of Rome gift wrap highlights some of the most famous fountains in The Eternal City! 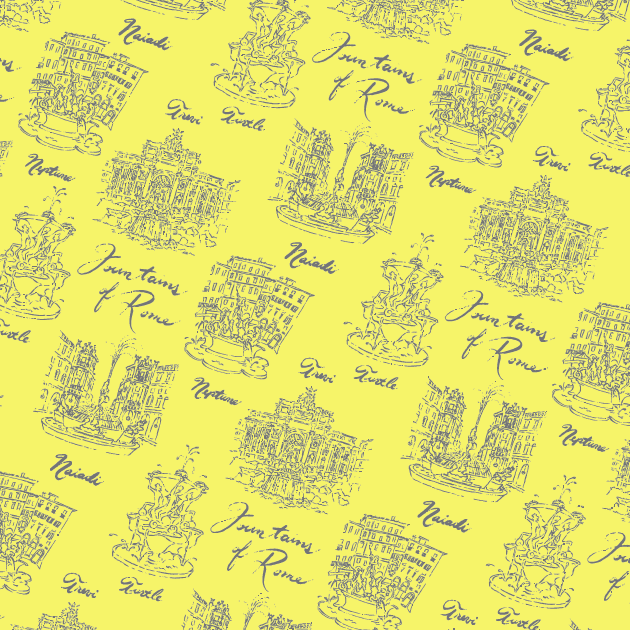 ( The Trevi, Neptune, Naiadi, and the Turtle Fountain). With a yellow background and whimsical drawings, it's sure to bring nostalgia and cheer to your loved one - versatile for any occasion.